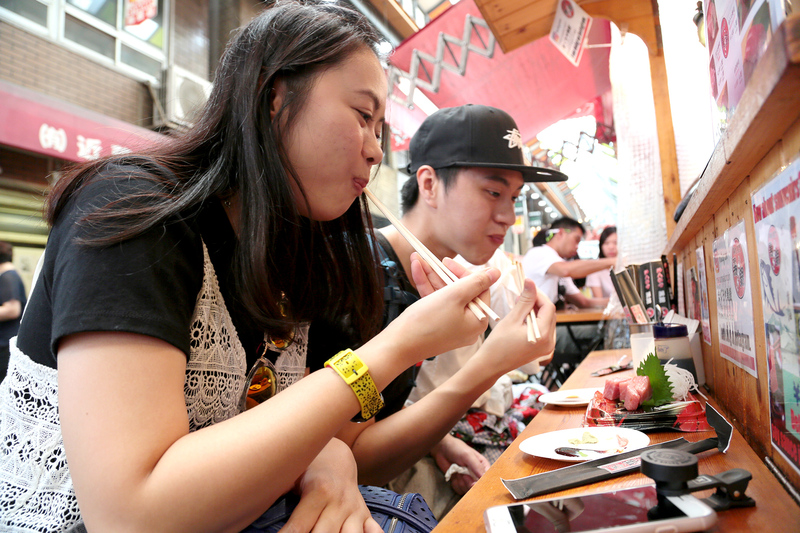 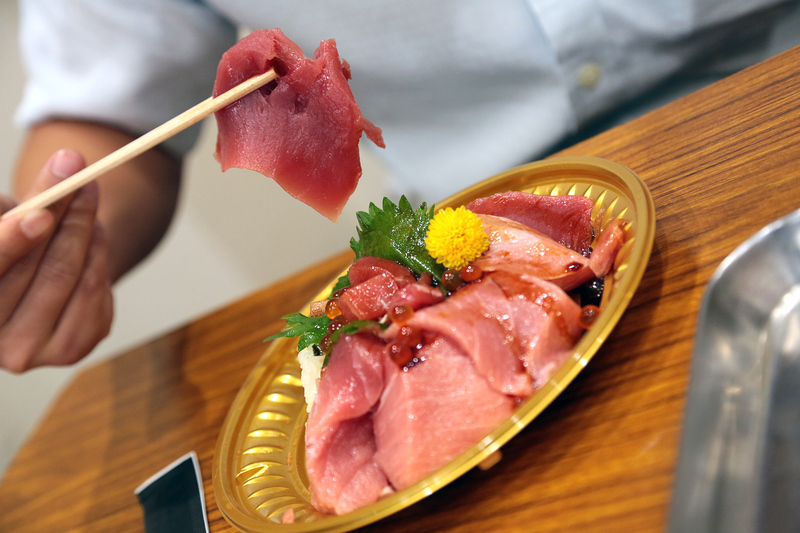 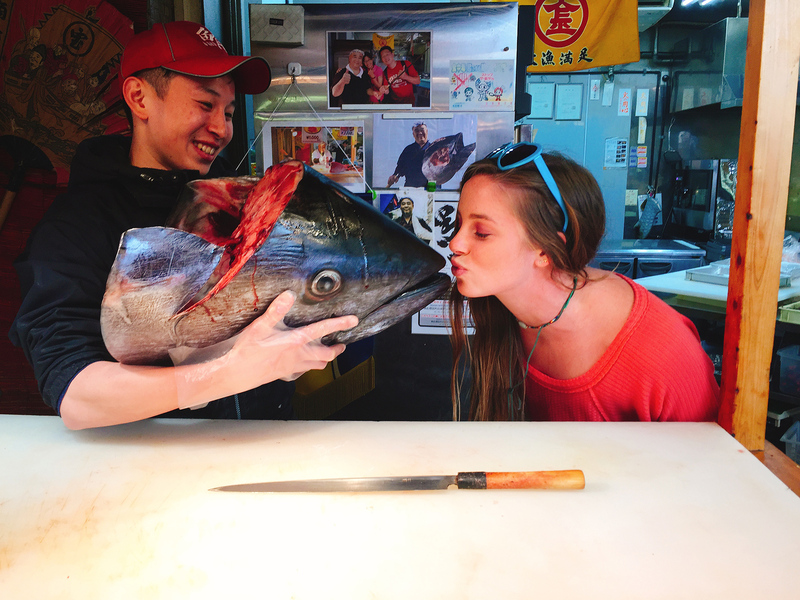 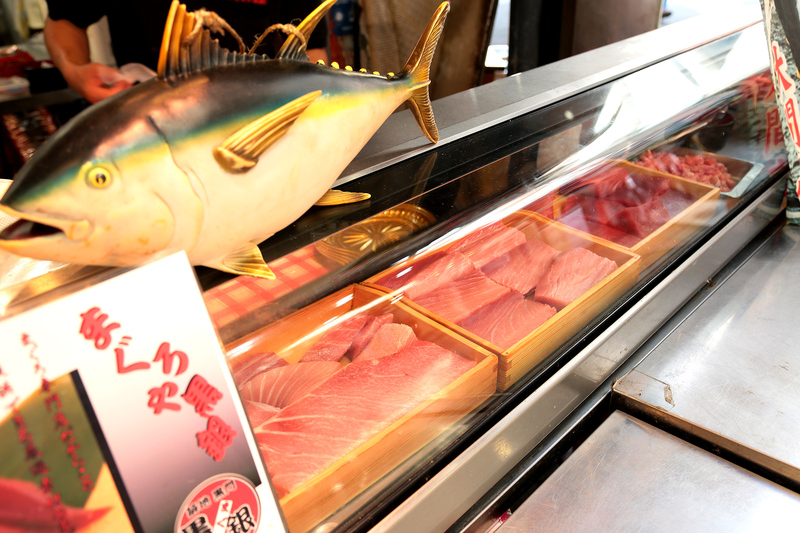 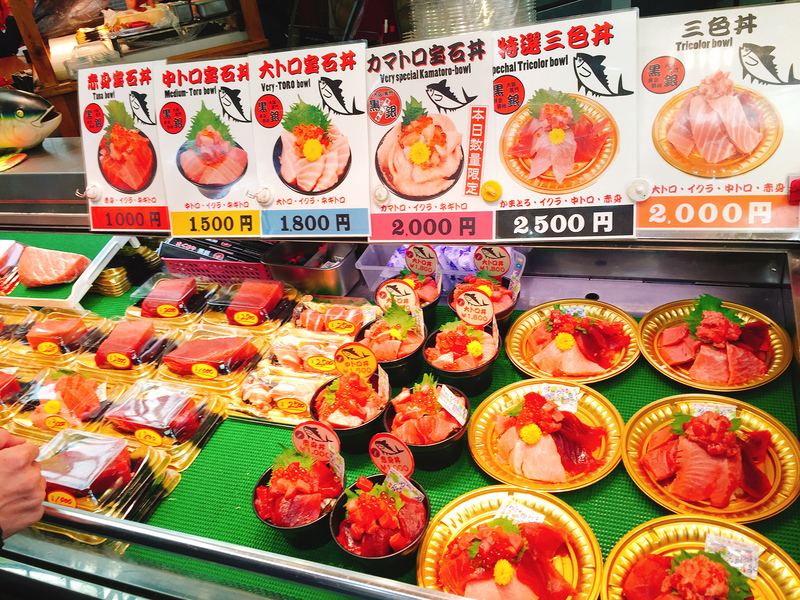 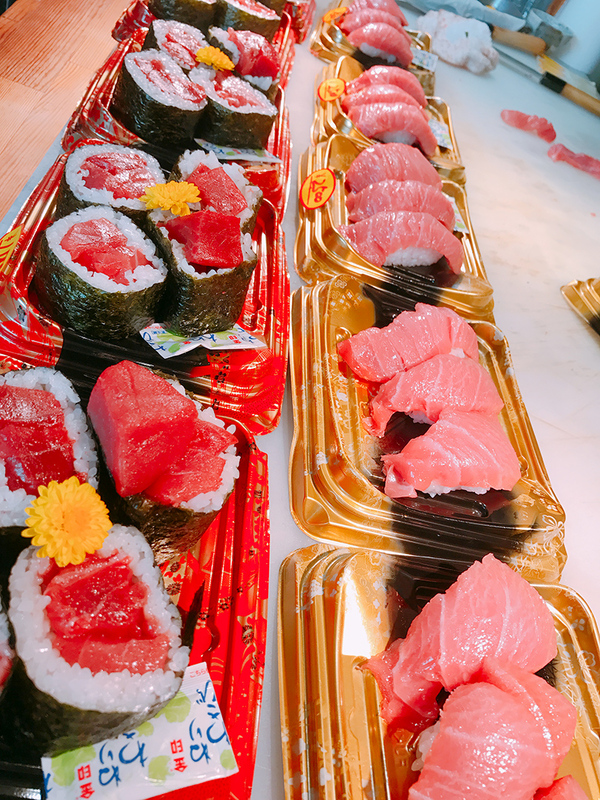 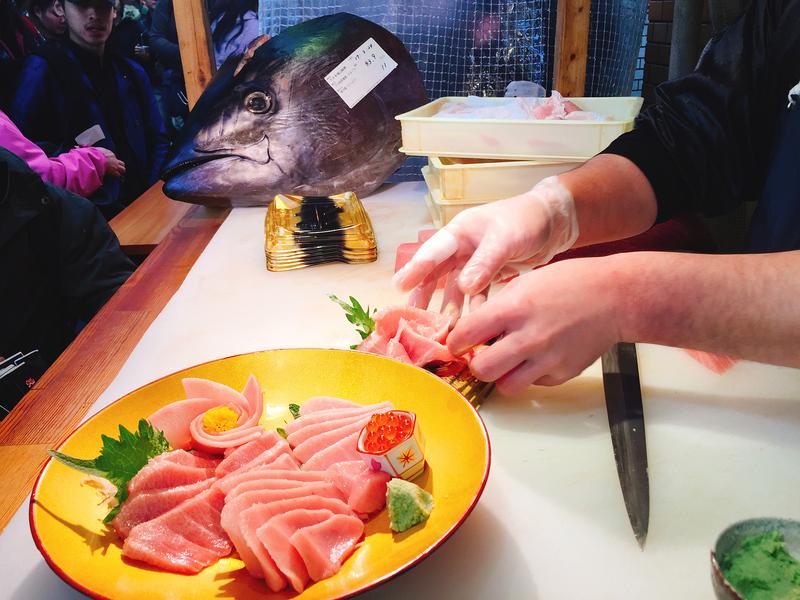 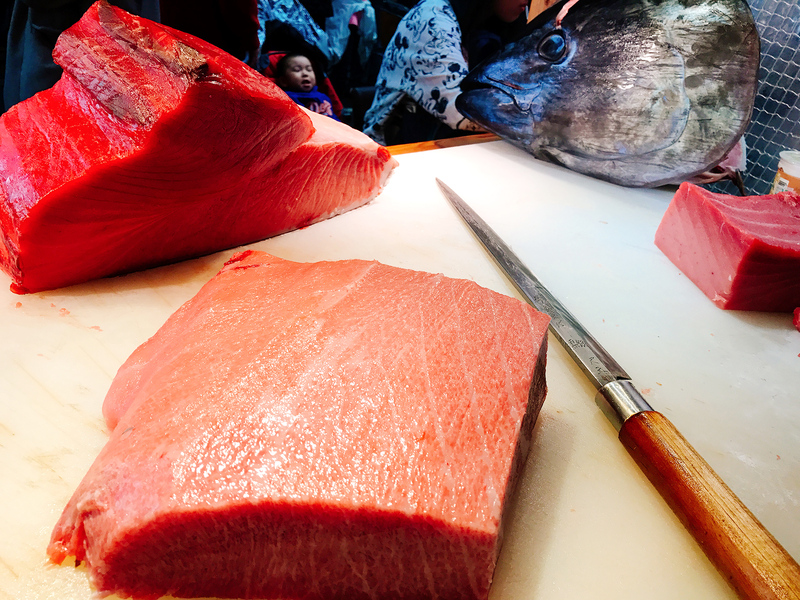 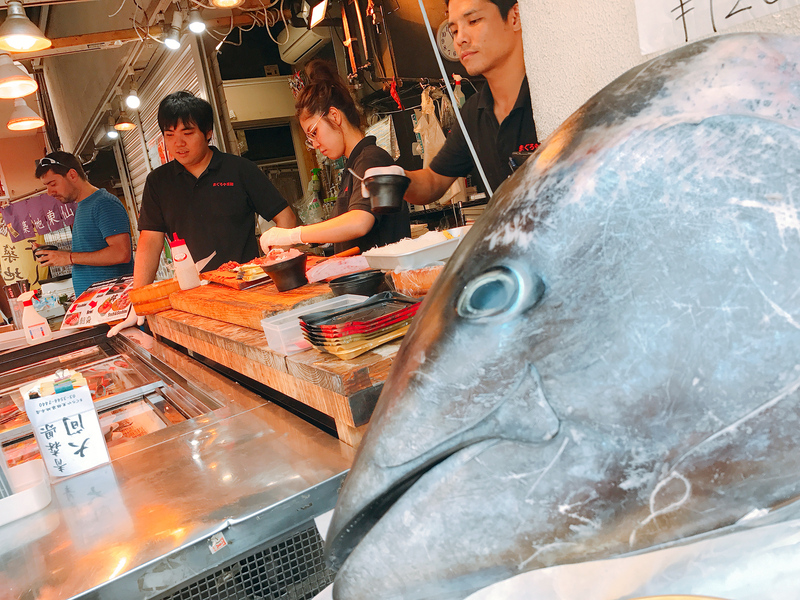 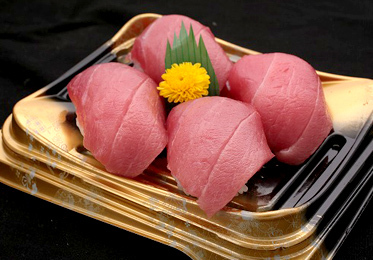 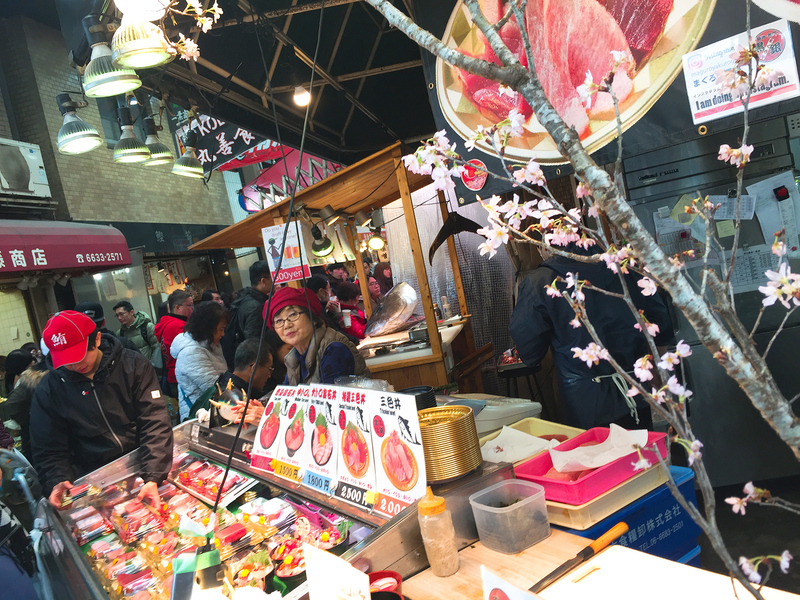 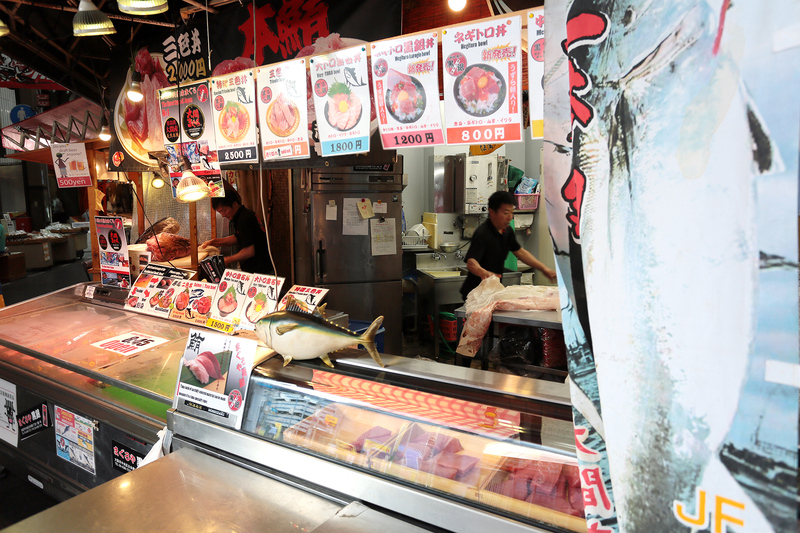 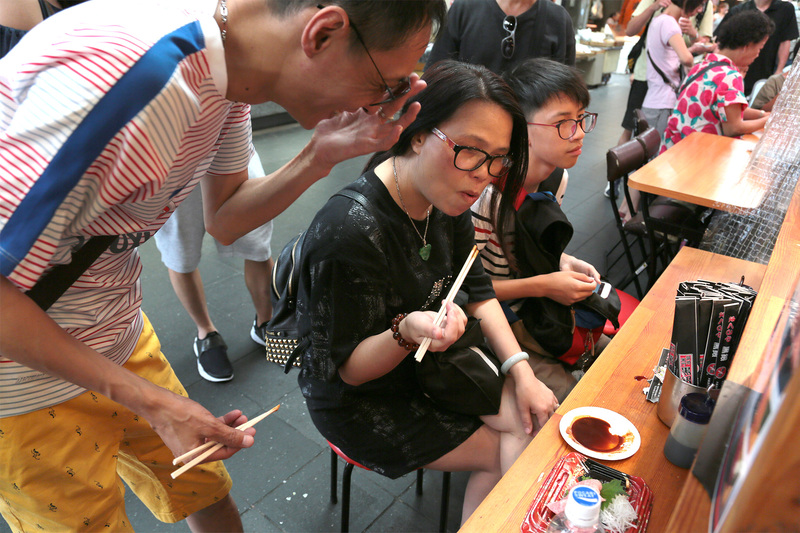 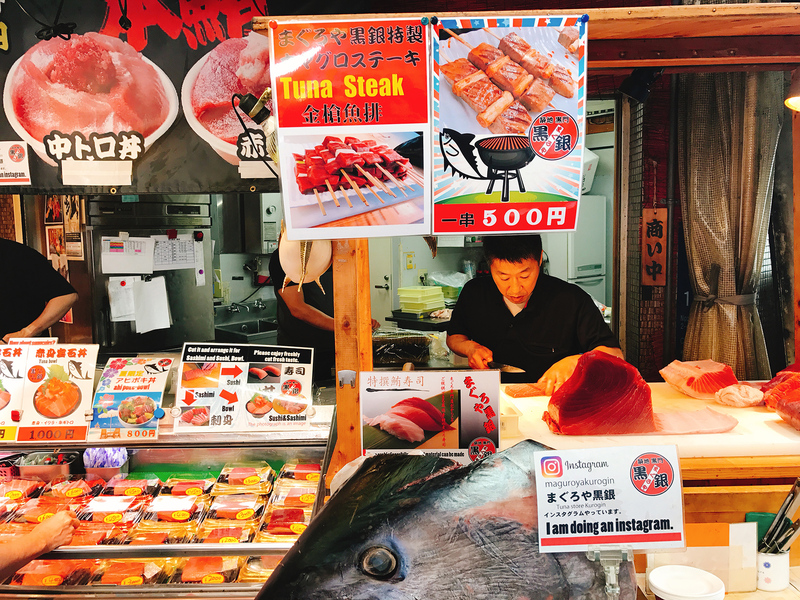 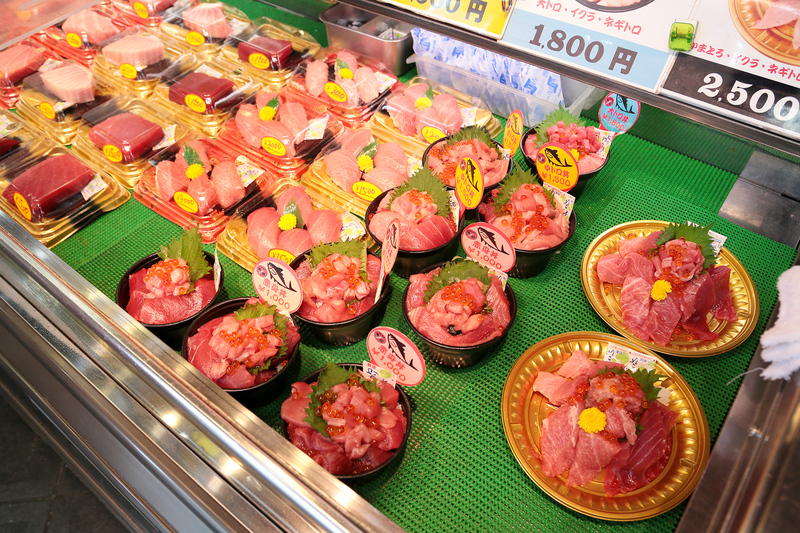 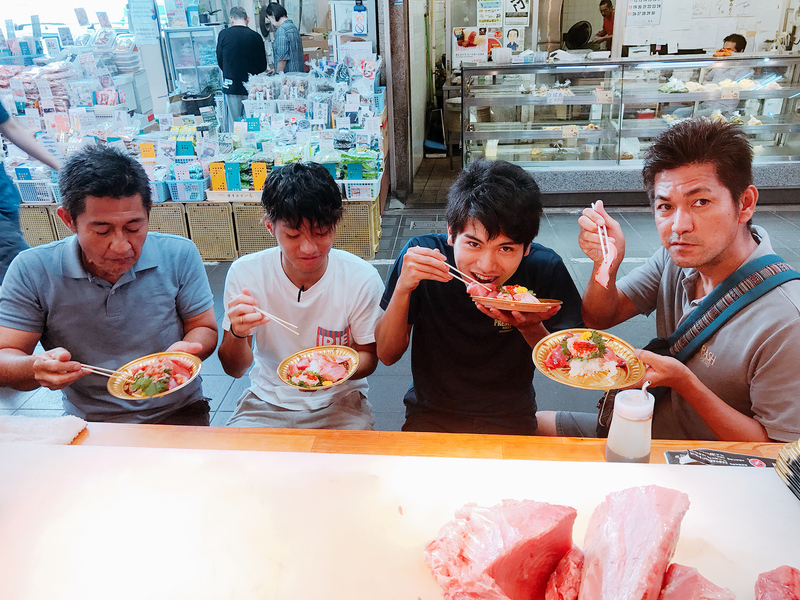 Experience authentic tuna the Osaka way, in the town of "eating 'til you drop." 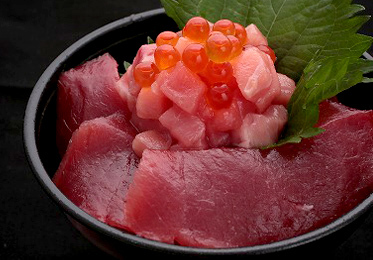 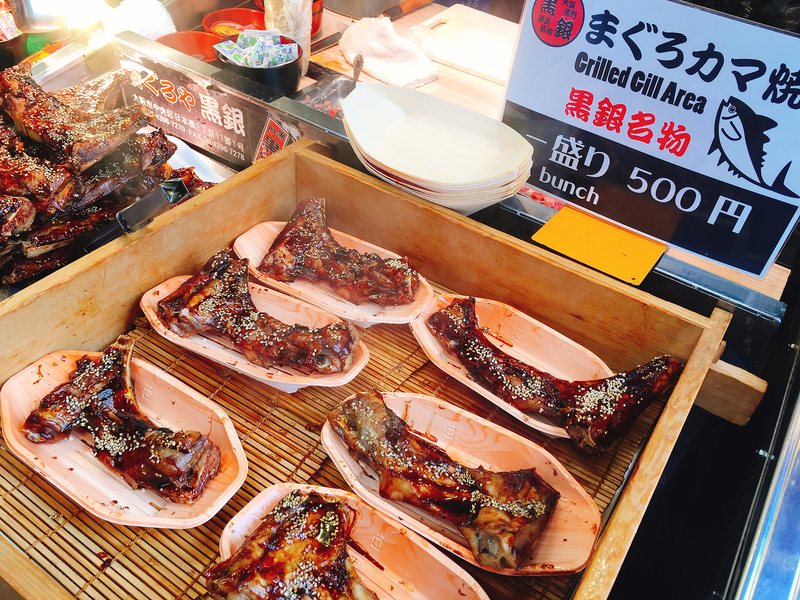 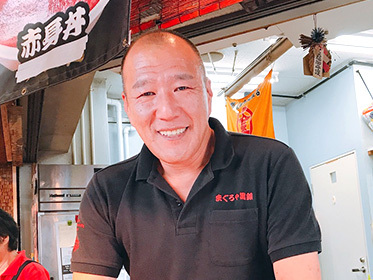 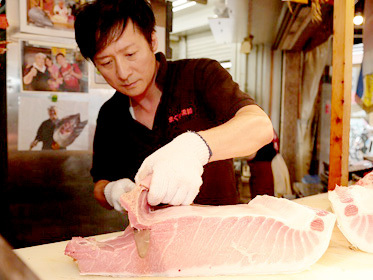 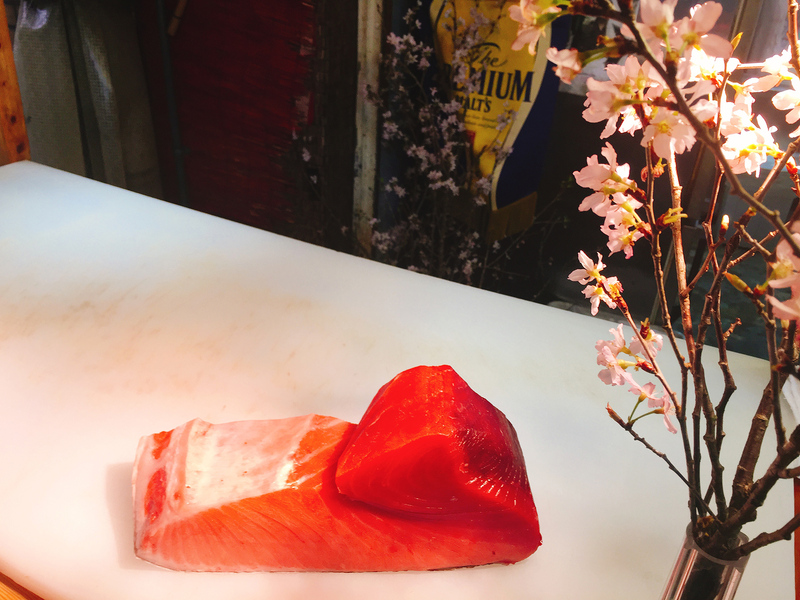 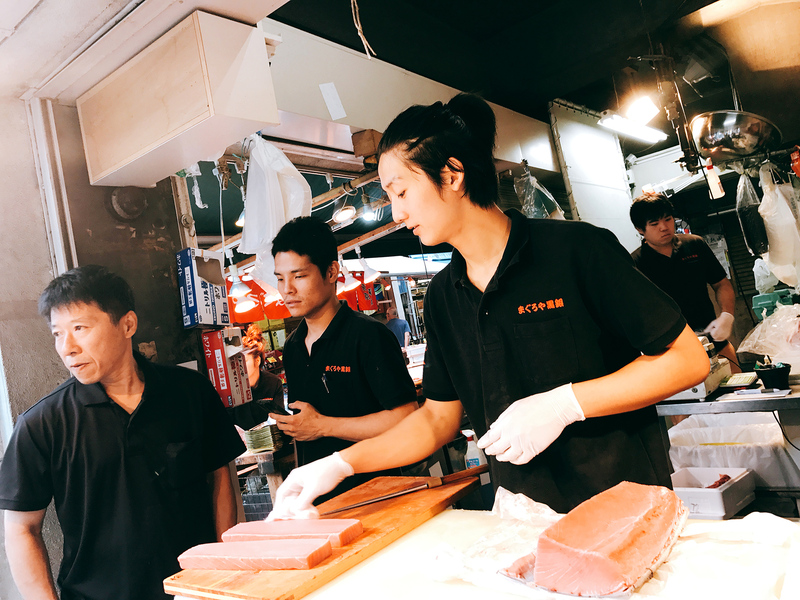 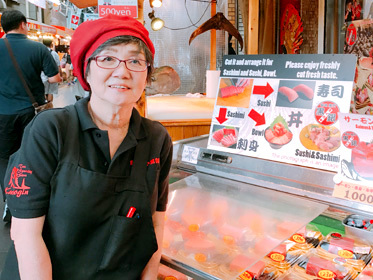 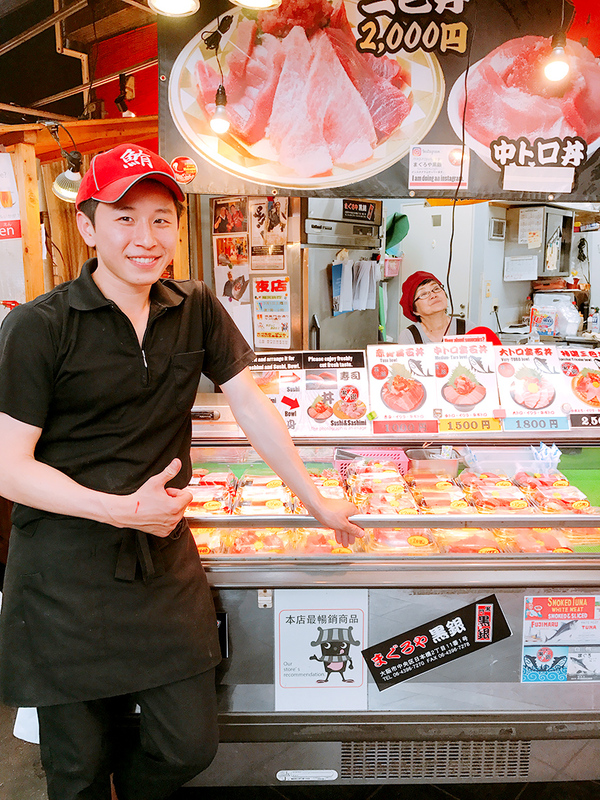 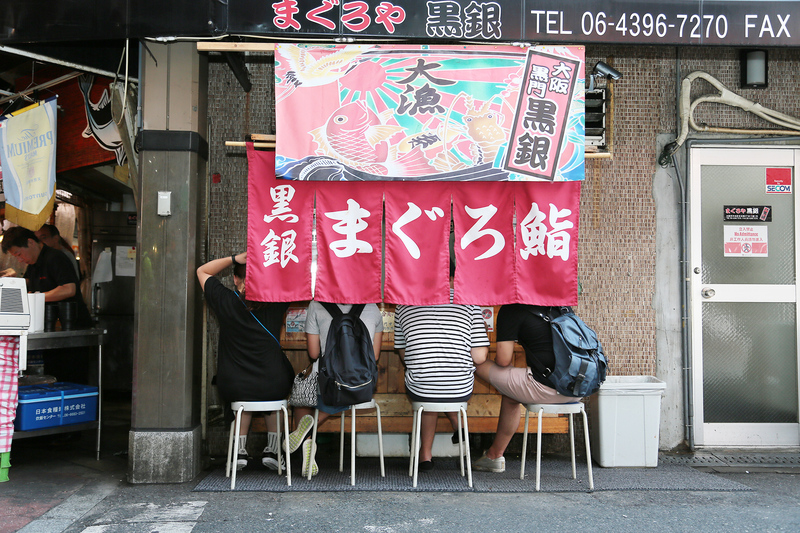 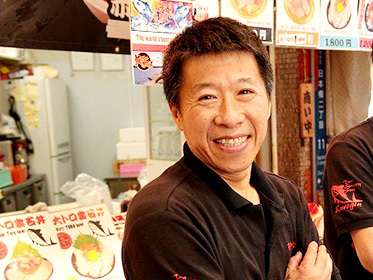 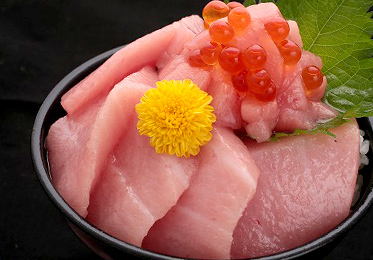 The Kurogin-style of delicious tuna and sincere hospitality. 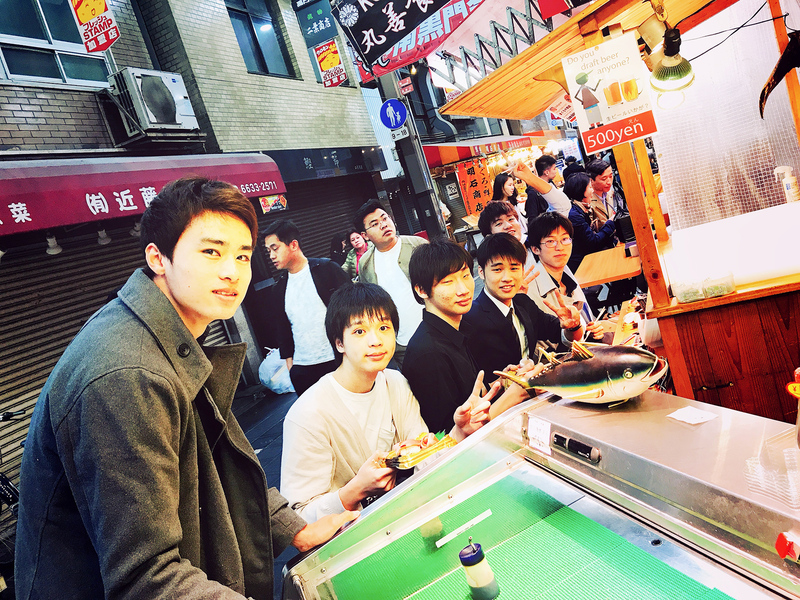 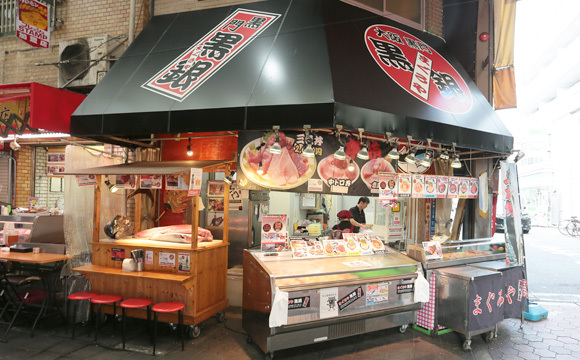 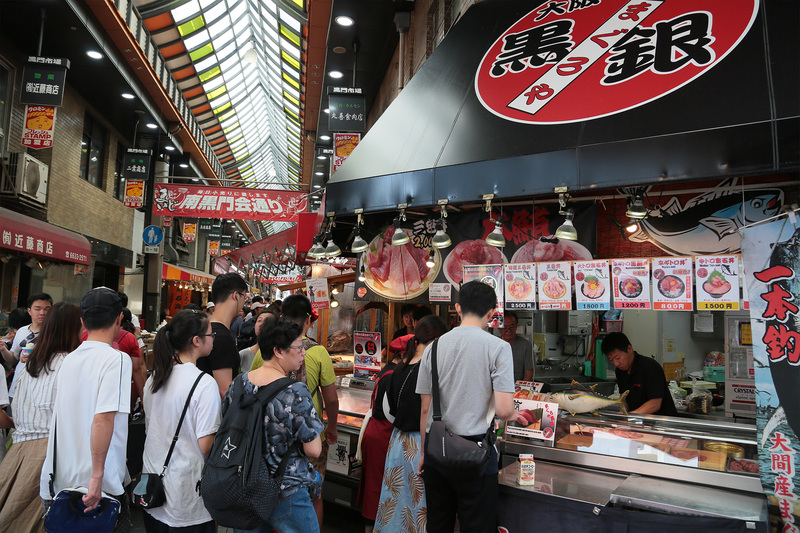 The Maguroya Kurogin Nipponbashi store is located in Kuromon Market, which, even in this Osaka area known for its food, is the largest of its kind. 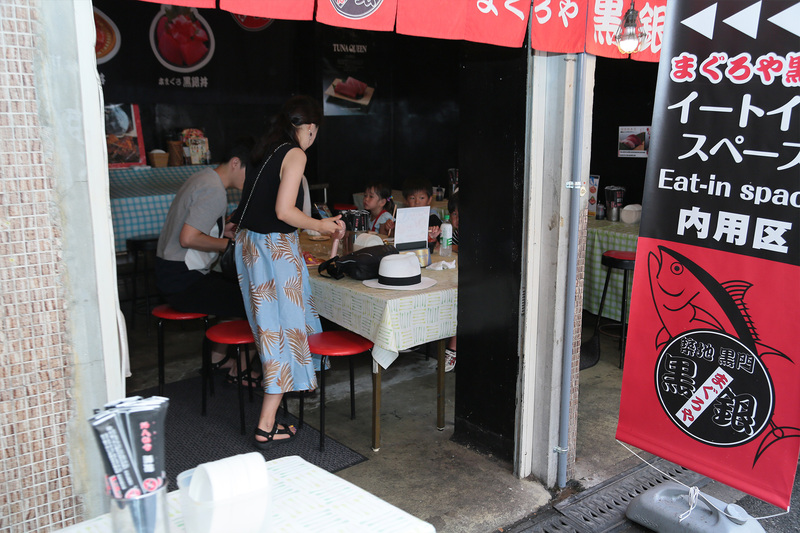 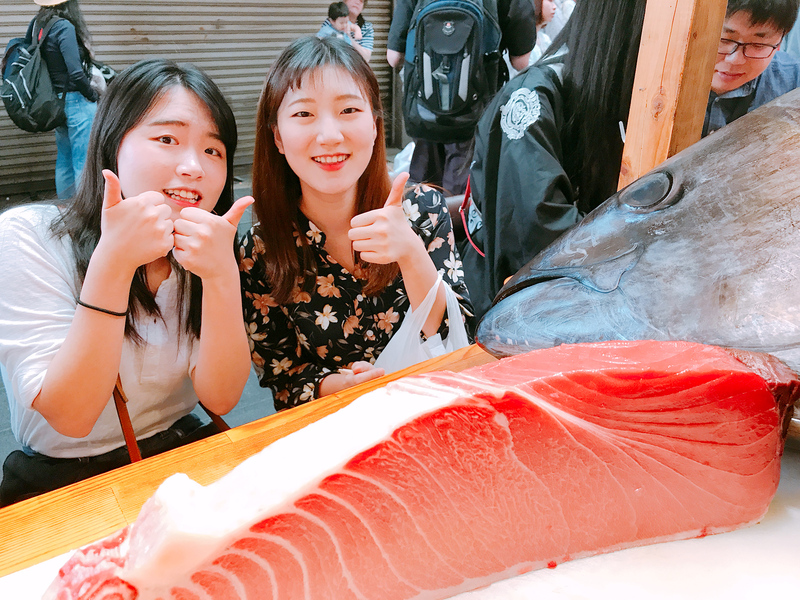 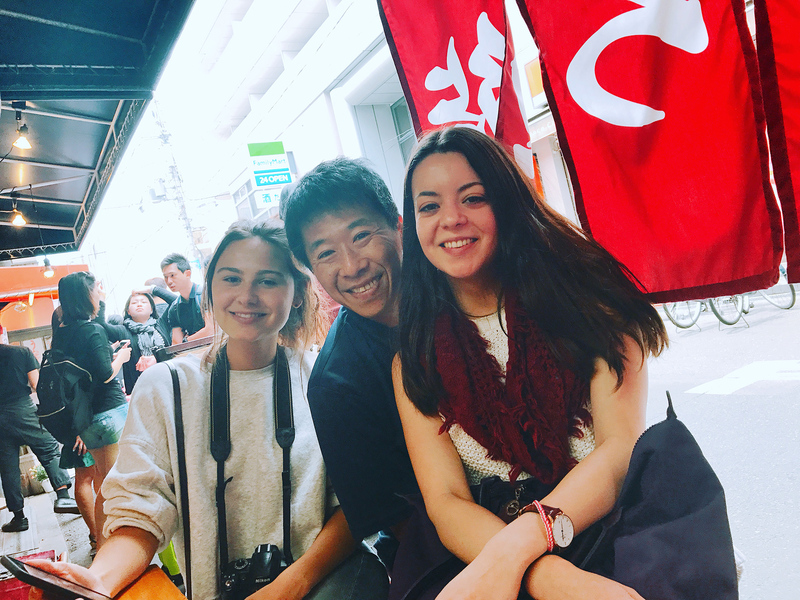 Kuromon Market is an extremely energetic facility serving not only Japanese customers, but many visitors from abroad as well. 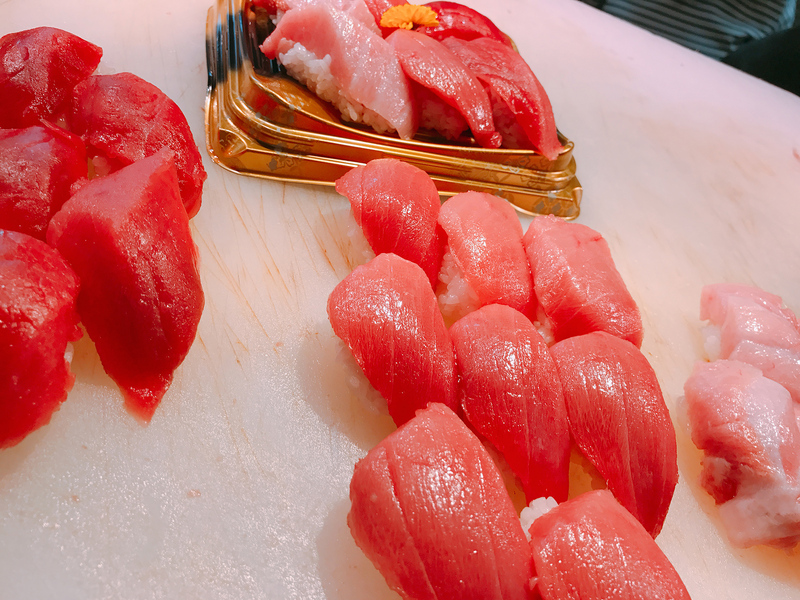 Maguroya Kurogin believes that serving the best tasting tuna is the epitome of hospitality, so we are proud to source fish of the utmost quality. 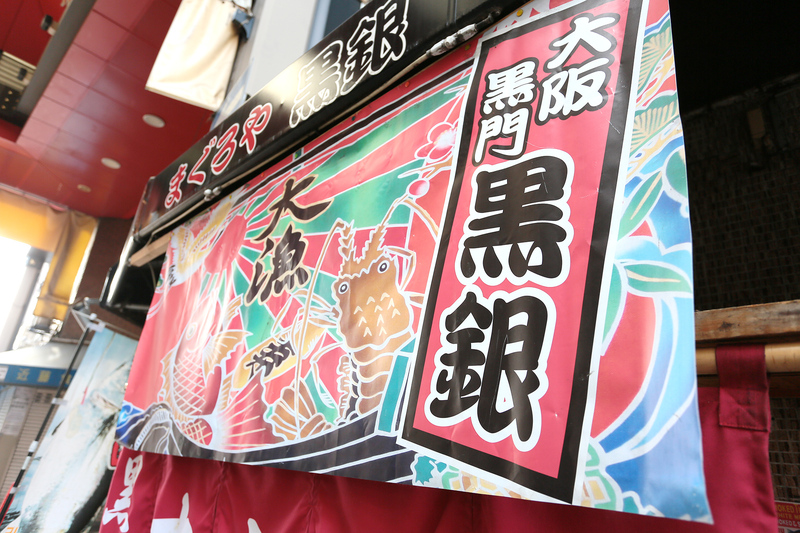 When you visit Osaka, please make sure Maguroya Kurogin is on your itinerary. 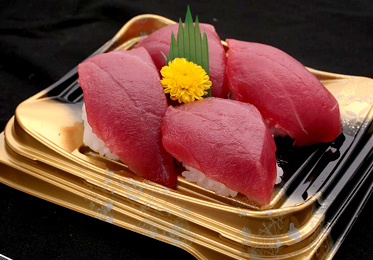 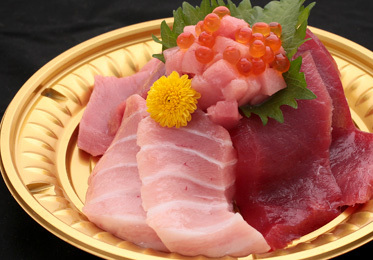 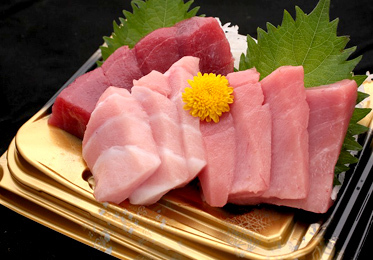 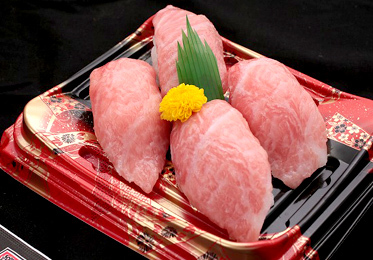 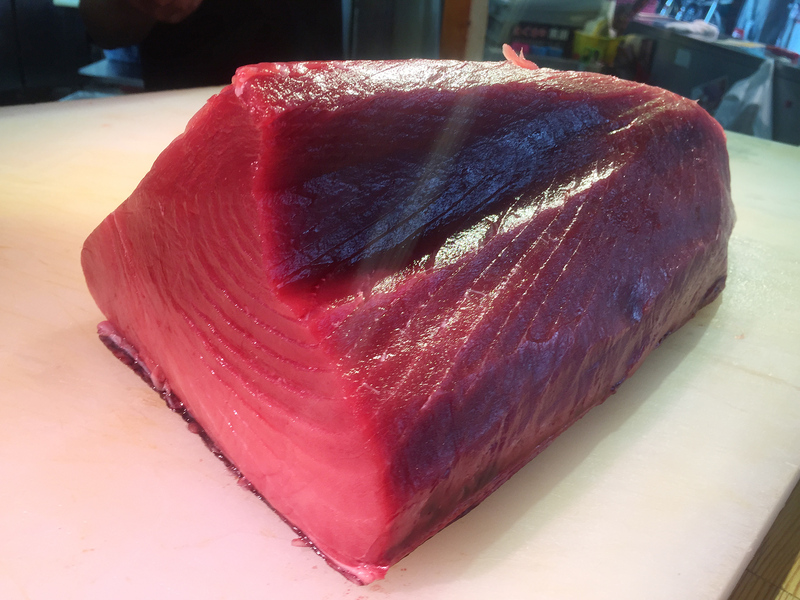 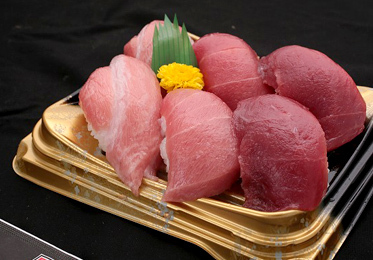 Come and enjoy the best tasting tuna in the world! 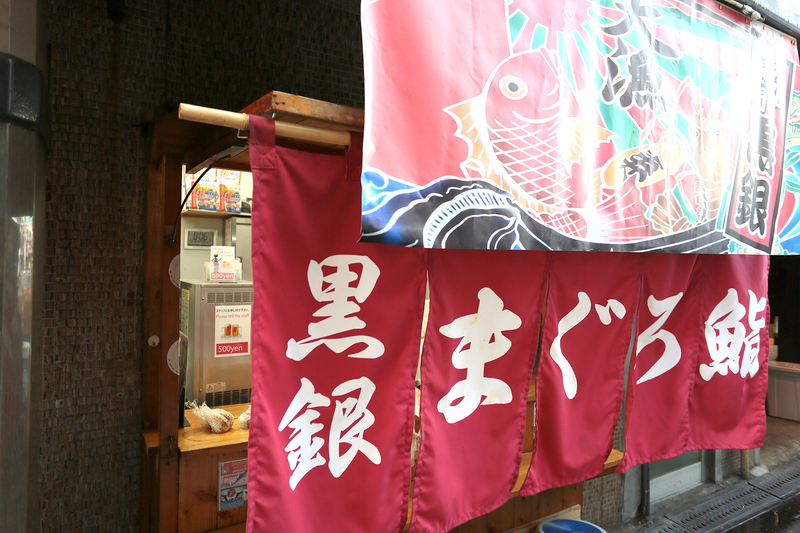 Note:Some items omitted for brevity. 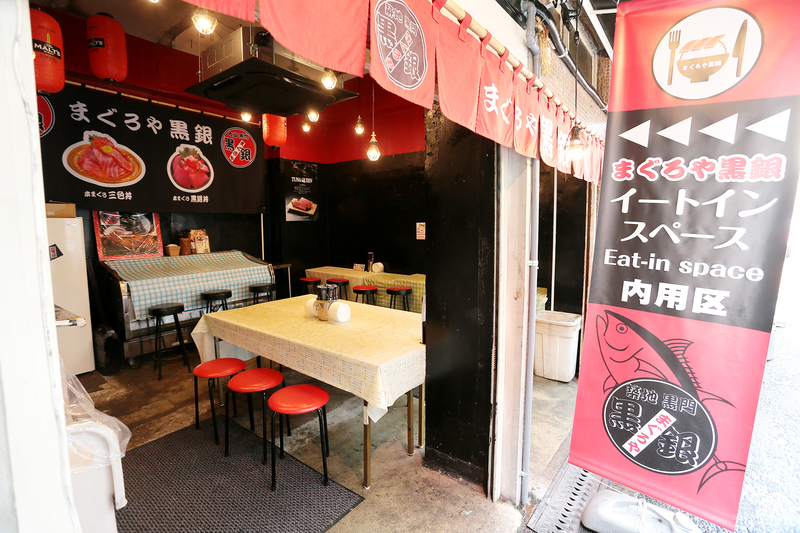 Dining space is available free of charge on the 1st and 2nd and 3rd floors of Kuromon Ichiba Honten. 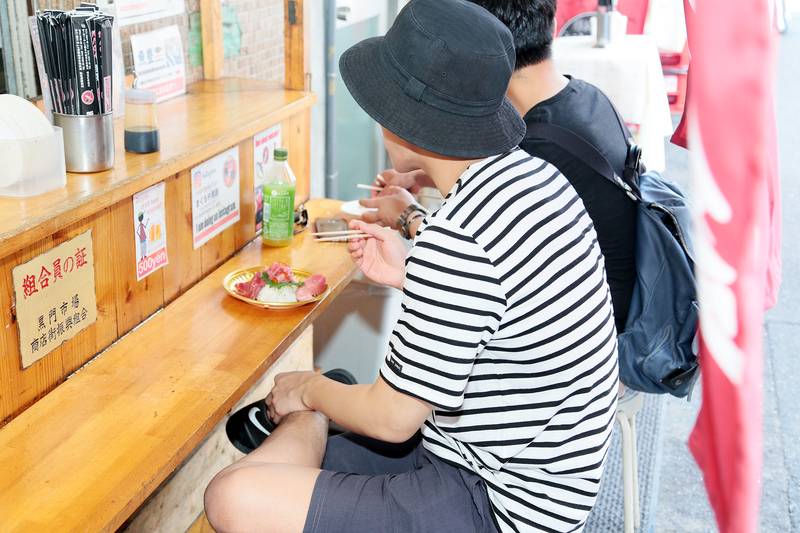 Bathrooms are also available for guests. 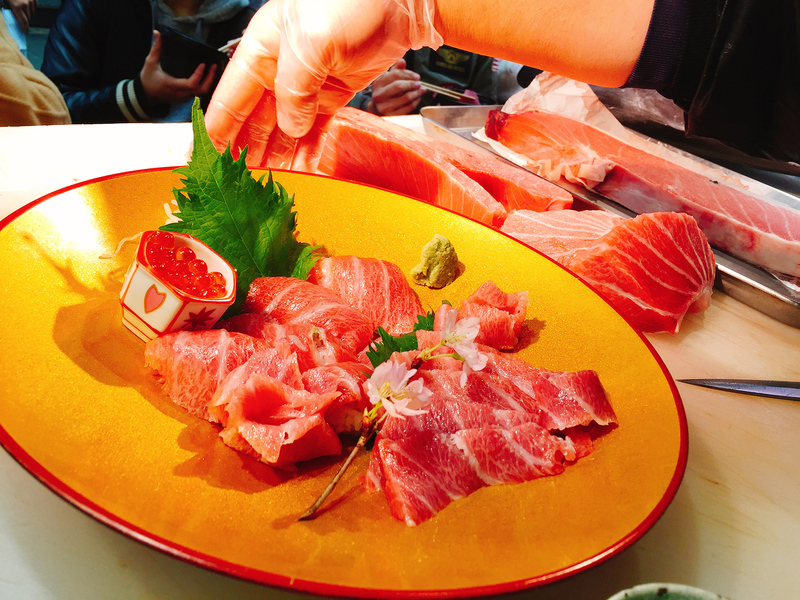 Group reservations are accepted for 10 to 20 person groups. 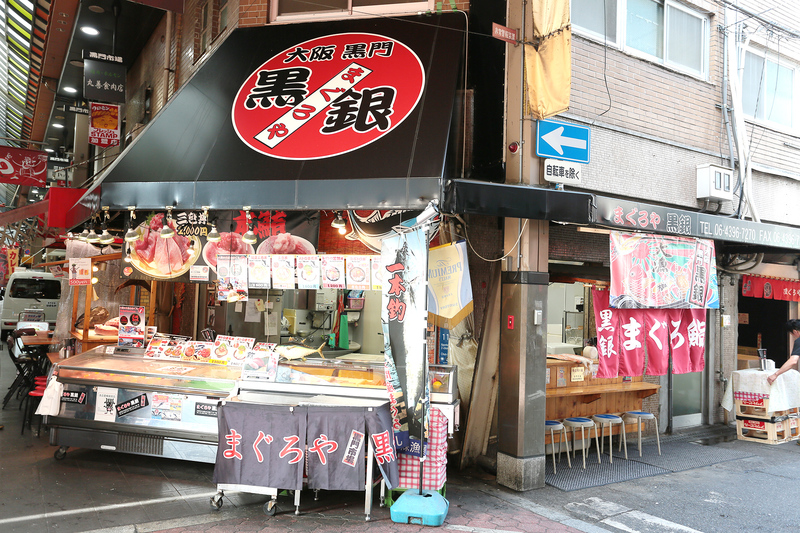 Right outside Exit 10 of Nipponbashi Station on the Sennichimae subway line.